Imogen's Typewriter. 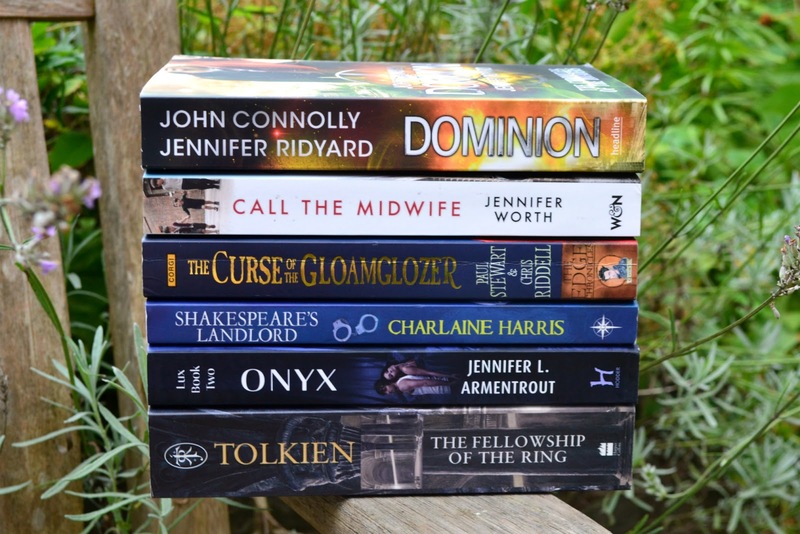 : My Autumn TBR! Today is officially the beginning of Autumn so Happy Autumn! My Autumn and Winter reading is always different from my Spring and Summer reading. In the darker months I feel like I can get stuck into deeper reads, whereas in the bright months I want light reads. It's not a hard or fast rule, but it is a trend I've noticed for a while. So here are the books I want to read now that Summer- or what we got of it, is well and truly over. I'm continuing my re-read of The Chronicles of the Invaders by Jennifer Ridyard and John Connolly that I started last month because I really want to finish this series this year. I can't believe I've had the last book for over a year and haven't read it yet. Last book fear is real! I reached for Call the Midwife by Jennifer Worth a couple months ago after finishing the series and wanting to read the source material, only to find it was blank for the first 50ish pages! Luckily the publisher was absolutely wonderful about sending me another copy and thus, it joined my Autumn TBR. I'm excited to read more in-depth about London in the 1950s. The Edge Chronicles by Paul Stewart and Chris Riddell were on my Summer TBR but it just didn't feel like the right time to read them. They're full of dark forests and creaking ships, and that's more Autumn to me. So I'll be picking them up this season instead, in a different order than I thought after reading this. Especially now that two of the books are signed by Chris Riddell! Since finishing the Harper Connolly series in August, I've been unfortunate in being Charlaine Harris free. I've not wanted to start the Midnight trilogy because the third book isn't out in paperback yet and I've been hesitant to start the Lily Bard mysteries because the third book is a Christmas themed story. However, now it's Autumn, Christmas is closer (95 days) and I think I can pace myself enough to save the Christmas book for nearer the season. So The Lily Bard Mysteries: Shakespeare's Landlord and Shakespeare's Champion by Charlaine Harris join the TBR pile. I started the Lux series by Jennifer L Armentrout series as part of my Summer TBR with Obsidian and I loved it! I promptly ordered the rest of the series and in true Imogen fashion, was completely intimidated by the pile of books. I really want to dive back into the world though, Jennifer's writing is so easy to read. And lastly, I want to start the Lord of the Rings series with The Fellowship of the Ring by J.R.R. Tolkien. It's about time I finally read it. What do you plan on reading this Autumn? My Muji Haul: Skincare and Pens! My Summer TBR: End of the Season! Books I Took to Northumberland: Take Two! Podcast Love #1: Welcome to Night Vale!